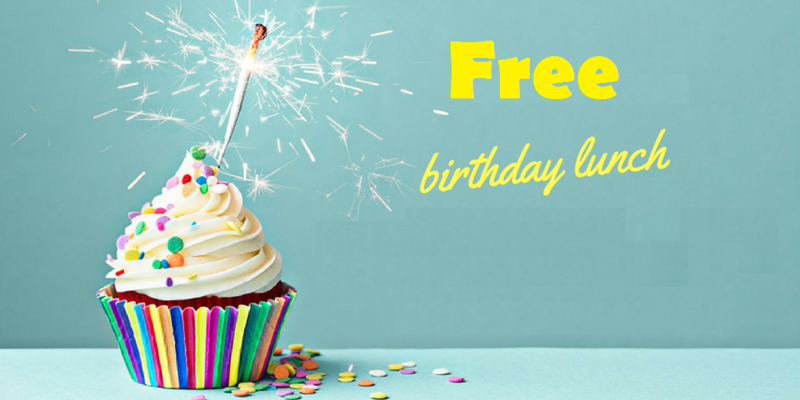 Free Birthday Stuff | 75 Birthday Freebies to grab on your Special Day! Home » Free Birthday Stuff! 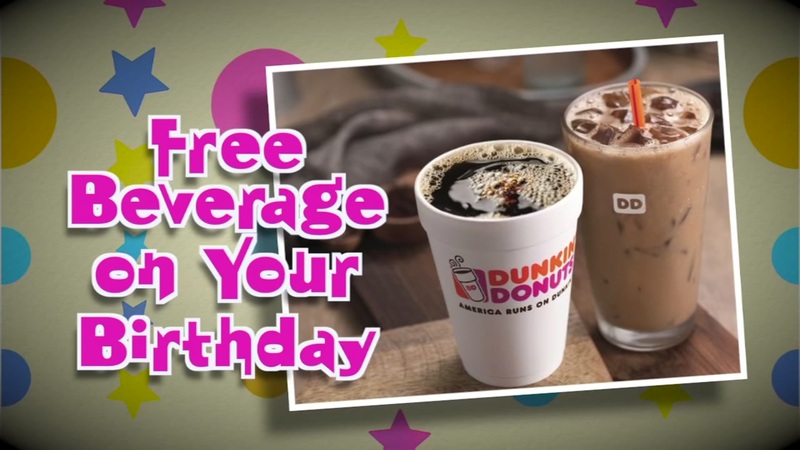 75 Birthday Freebies to grab on your Special Day! Free Birthday Stuff! 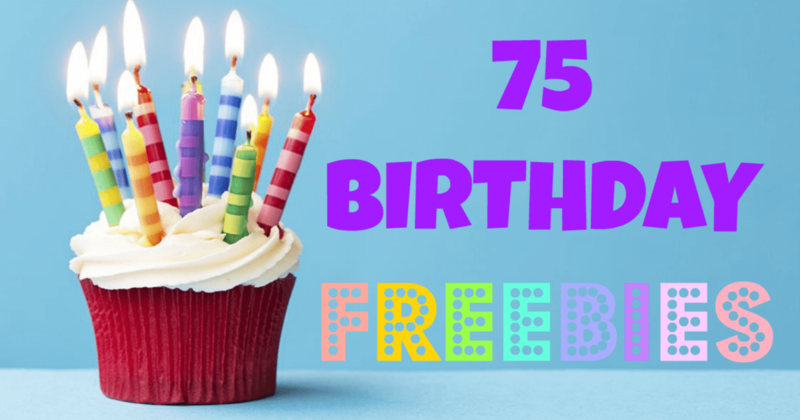 75 Birthday Freebies to grab on your Special Day! Let’s face it- adult birthdays are a far cry from the sugar-fueled extravaganzas of our youth. More often than not, a birthday may feel like little more than a reminder of your own mortality and put you in a less than celebratory mood. The best cure for this is a little bit of recognition from friends and family, and a whole lot of cake- preferably FREE cake! 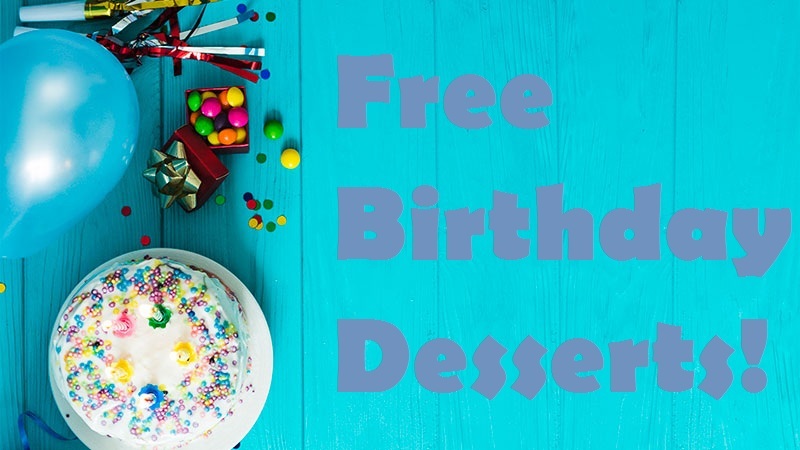 Read on for some of the best birthday freebies around! Note that most of these places require you to sign up for their e-mail list or free rewards programs and will send you a coupon for your free birthday stuff! Also, note that all of these freebies are only valid on the actual date of your birth unless otherwise stated. Bruegger’s Bagels: Free bagel and cream cheese when you sign up for the e-mail club. Denny’s: Free Grand Slam on your day of birth! Gotta start your day off sunny-side up! Einstein Bros. Bagels: Free egg sandwich when you join the e-club. IHOP: Free full stack of buttermilk pancakes…yum! Join the e-club to redeem. Hope you brought some friends to help you eat all this breakfast food! Au Bon Pain: Free lunch with E-Club signup. Baja Mexican Grill: Free burrito when you join Club Baja. Buffalo Wild Wings: Free snack-size wings within two weeks of your birthday! Just sign up for the Buffalo Circle e-club. Hooters: 10 free wings with e-club sign-up, if you’re into that sort of thing. Jack in the Box: Two free tacos when you use the printable coupon! Jersey Mike’s: E-mail club signup will get you a free sub and a drink! Johnny Rocket’s: Free burger with purchase of an entrée, with e-club sign-up. Noodles & Company: Join the Noodles Family to get a free noodle bowl. P.F. Changs: Free entrée when you buy an entrée as a club member. Calories don’t count on your birthday! Red Robin: Free burger during your birthday month with club sign-up. Subway: Join the Eat Fresh Club to get a free six-inch sub and drink! A&W: Free root beer float when you sign up for the free rewards club. Applebee’s: Free dessert when you join the Applebee’s EClub. Arby’s: Coupon for a free shake, sent to you via snail-mail when you sign up for Arby’s Extras rewards program. Ben & Jerry’s: Free ice cream when you become a Chunk Spelunker! You know you want to. Bertucci’s Pizza: One free dessert when you join the e-mail club. Boston Market: Free dessert with purchase if you become a VIP (free signup). California Pizza Kitchen: No free pizza, but score a free dessert during your month of birth when you sign up for the rewards program. Carvel Ice Cream: Free cone when you become a Fudgie Fanatic club member. Chili’s: Free dessert within two weeks of your birthday when you sign up for the e-mail club. Cinnabon: Free surprise birthday treat with Club Cinnabon signup. Cold Stone: Buy one get one free ice cream on your B-day! So worth the e-mail signup. Culvers: Free sundae with club signup. Dairy Queen: Buy one get one free Blizzard with Fan Club signup. So if you have a friend with the same birthday as you, you can score FOUR BLIZZARDS! Lactaid not included. Del Taco: Free milkshake on your birthday with e-club signup. I wasn’t aware that Del Taco even served ice cream…surprise! Longhorn Steakhouse: Free dessert with Longhorn Account. Margaritaville: Free scoop of ice cream with toppings, no sign-up required! Olive Garden: Free dessert with e-club sign-up. So worth the calories. Wendy’s: Free Frosty with e-mail signup. Dunkin’ Donuts: Time to caffeinate before your big day celebrations! Free beverage of your choice with the DD Perks app. Jamba Juice: Free juice or smoothie when you become a JJ Insider. Starbucks: Rewards members get a free, any-size beverage. Make the most of it! Auntie Anne’s: Buy one pretzel get one free on your birthday when you sign up for Pretzel Perks. Carabba’s: Free appetizer during your birthday month if you join the Amici rewards club. Caribou Coffee: Free birthday treat with Caribou Coffee Perks. Edible Arrangements: Free chocolate-dipped fruit on your birthday! Even better because it’s delivered right to your door. Joe’s Crab Shack: Free appetizer with newsletter sign-up. Krispy Kreme: Free donut as a friend of the establishment (free sign-up). Melting Pot: Six free chocolate-covered strawberries with the online club. Might as well just stay for the fondue, right? Panera Bread: Free pastry as a MyPanera member. Excellent snack for the road as you travel between restaurants collecting your free foods! Pizza Hut: Create an online delivery account and get free cinnamon sticks delivered to you on your birthday. Red Lobster: Random surprise birthday freebie with club signup. Can’t go wrong here! Sonic: Rewards members get a free surprise birthday treat! Aveda: Birthday gift ($23 retail value) when you join the Privilege club for $10. bareMinerals: Get a free birthday gift in the mail when you sign up for the Friends and Benefits program. Columbia: Join the rewards program to get a free birthday gift! Disney: Join the Official Disney Fan club to get a free mystery offer on your birthday! Dave & Busters: $5 worth of gameplay for free with reward sign-up. Designer Shoe Warehouse: Special offer with rewards membership. Kohl’s: Birthday gift with rewards program sign-up. Old Navy: Special birthday offer with e-mail signup. Petco: Celebrate your pet’s special day with a free gift on your pet’s birthday! Sephora: Reap some beautiful birthday rewards when you become a Beauty Insider. Receive a free gift and free beauty classes! Smashbox: Get a free birthday gift with rewards program sign-up. ULTA: Free birthday gift with rewards program sign-up. Victoria’s Secret: Angel Cardholders get a free birthday gift. 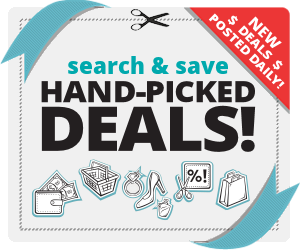 World Market: Sign up for the rewards program to get a free birthday surprise! Top Tips to Host an Allergy Friendly Super Bowl Party! A Rosi Feliciano oferece 30 dias de garantia. and I used to visit this web site daily.